Last Friday Liz joined me on the boat. After one year and five months alone I have now the pleasure to adjust my lifestyle again :-). And it's great. We moved out of the lagoon on Tuesday because the water is much (much!) nicer in the bay, and we swim to the beach every morning to exercise a little and have fun. Except for that and shopping for boat parts and groceries every day there is no established routine yet, but we're working on it. Liz is keen on writing and music, and I want to improve my photography and video skills. We want to reserve a few hours every day for that. 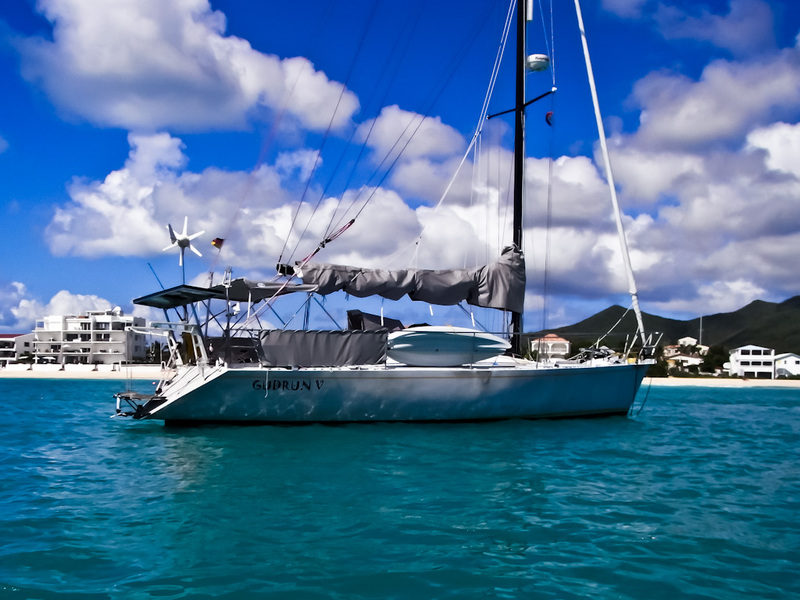 The overall plan is to stay a little longer in St. Martin, and then make our way slowly west towards Cuba.